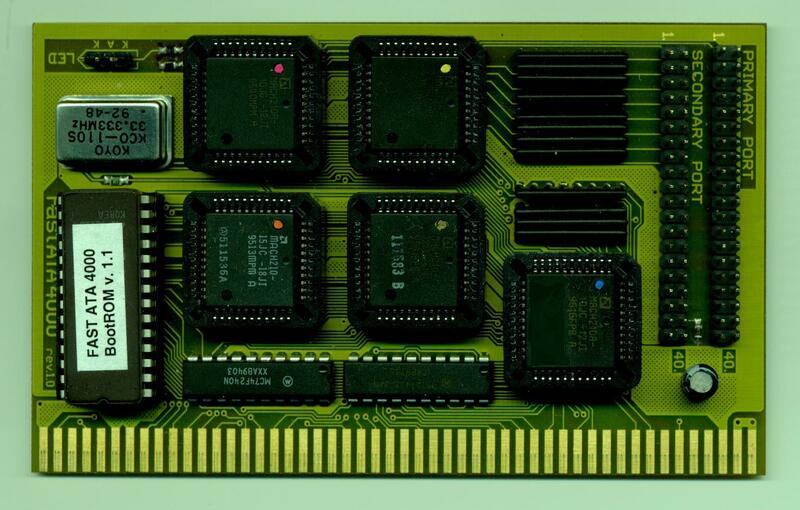 A Zorro III only IDE card which has two independant IDE connectors and supports drives up to PIO MODE 4 for a theoretical maxmum transfer rate of 16.6MB/sec. Also has support for drives larger than 4GB by fooling the system into thinking that a drive larger than 4GB is acutally two or more separate drives. This card is usually supplied with Allegro filing system and is currently the only known card capable of reading UDF DVD discs.